"Primorye - 80! Our history ": Porcelain of Larissa Kanayeva is one of the business cards of the region. This year, Primorsky Krai will celebrate the anniversary - 80 years. We continue to talk about the inhabitants of the region, who glorify our region with achievements in work, sports, creativity. The hero of the next reportage will be the ceramic artist Larisa Kanaeva. Five years in the school, five - in the institute Larisa Kanaeva studied painting and watercolors. But one day the dean of the faculty invited students to learn ceramics. Larisa Kanaeva, a member of the Union of Artists of the Russian Federation: "For me, when this announcement sounded, some magic appeared in the word" ceramics "." Ceramics fascinated her. A week spent behind canvas and paper, on weekends mastered clay. That was the time when the ceramic factory in Spassk, the porcelain factories in Artem and Vladivostok, flourished in Primorye. 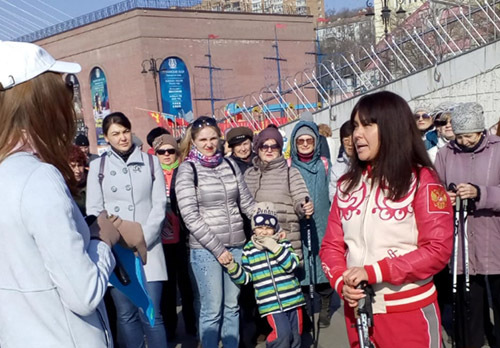 After the institute Kanaeva settled in Vladivostok. Larisa Kanaeva, a member of the Union of Artists of the Russian Federation: "The porcelain factory was created as a dishwasher, and we were given one creative day when we could do whatever we wanted." She painted her first mug for about three months - until she got used to special brushes and paints for porcelain. At the artistic council did not accept the mug. But by chance the product got into the box, which was sent to Moscow. There, a high commission approved the samples for production on the stream. 02.08.2016 Mixed Martial Arts Federation gathered 126 sportsmen in one interethnic team in Dalnerechensk.